Select the right furniture and layout for your office space and set yourself up for year-long success. Create a defined office area to separate your work time from home time. If you battle to settle into a work rhythm when working from home, then it might be time to take a look at rearranging your work space. The right furniture and layout will inspire you to get stuck into your tasks, not only resulting in an improvement in your productivity, but also in the quality of the work you produce. The first step is choosing a specific room or space in your home where you can physically go to work, but just as easily leave at the end of the day when you are done. This will help you move in and out of that work frame of mind more easily. Test out a few potential areas and rooms first to get a feel before you commit. "Watch out for a home office space that initially seems ideal but turns out to be too hot or too cold, too noisy or too quiet," advises home office expert Lisa Kanarek in an article for Mashable.com. Other things to consider about a space are whether it has enough plug points, good wifi and mobile signal, a telephone line and natural light. The comfort level of your chair can directly influence how well you work. Give your office space an industrious air, but with all the comfort that comes with excellent workmanship. 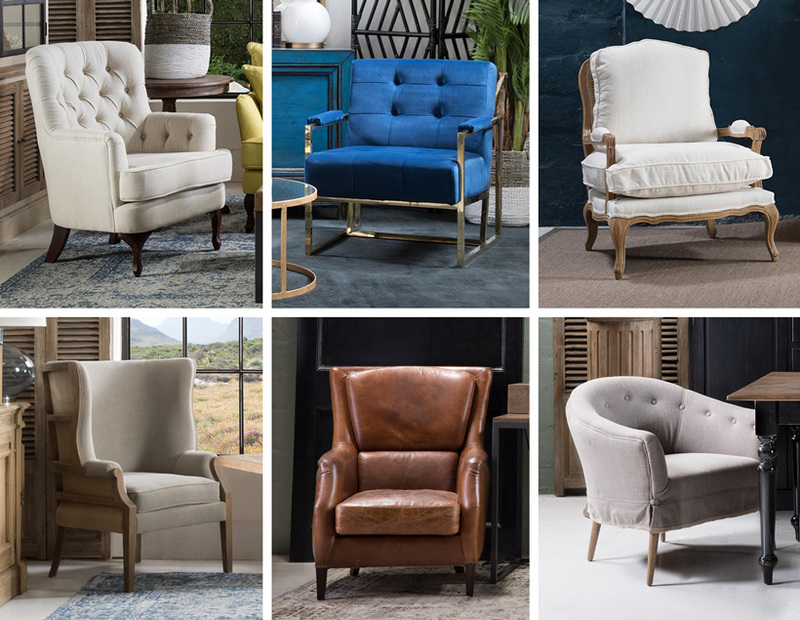 Select your favourite leather chair from our collection and be inspired to get the job done. As with your office chair, your desk needs to be "just right". Start off by considering your workflow. What type of work do you do and how will your desk need to accommodate that? Once you’ve got an idea of what you need, you may also consider what size desk can fit into the room or space you’ve assigned as your office. Typically, the area space of your desk should be deep enough to accommodate your laptop or computer, with space either side for a notepad, cup of coffee, telephone or other items relevant to your type of work. If you need additional work bench area, then consider an extra-long desk, or splitting a corner desk into two spaces – one where you do your admin, and one where you work more creatively. Don’t let your office spill over into the rest of the house. Assign work documents, stationery, files and related paraphernalia to a proper storage unit near to your desk to aid workflow. Working amongst chaos, however organised you might think it is, can severely impact your ability to get the job done. If space is limited, get creative. Maximise corners by installing cupboards, shelves or even creating desk space in the corner itself. 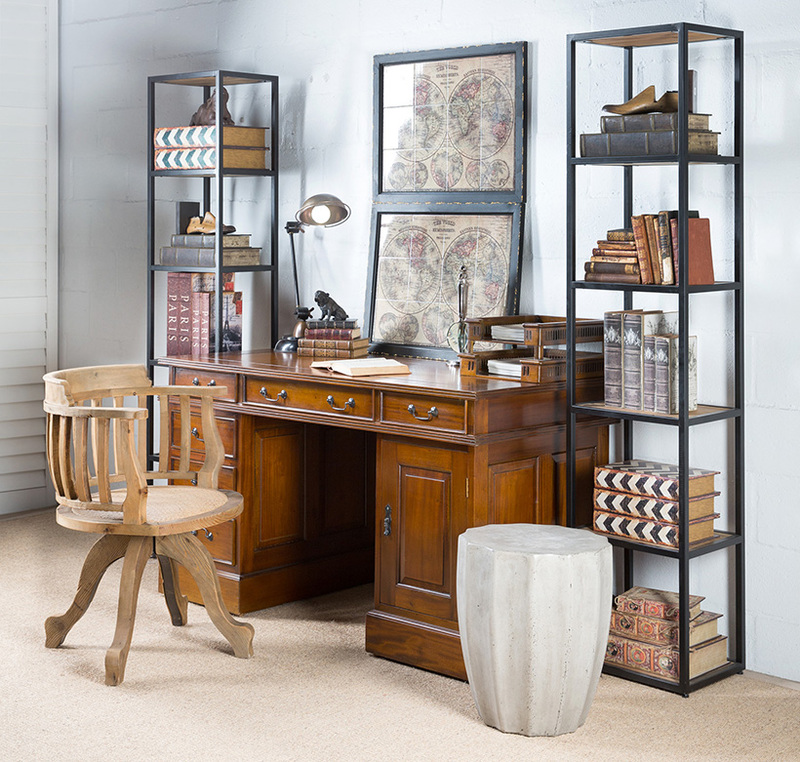 Where possible, opt for dual-purpose furniture like our English Countryside Workstation which can be built to your specific requirements to ensure it fits snugly to become your ideal home office. Give yourself the right lighting to ensure you’re not squinting over your work. Good lighting is not only a vital functional element, it also helps lift your mood. If possible, work near to a window for natural light, add a desk lamp for when you need more specific light and ensure you have good general lighting in the area so that you don’t feel as if you’re having to go to work in a dreary bat cave. Give your office space a spruce every so often. Move your desk position, consider replacing your work chair, add a new pot plant or find a new lamp. Freshening up your space will keep you inspired and is likely to improve your productivity by encouraging you to spend more time in the space.